Hoots Owls go to all kinds of events, whether it's steam rallies, country shows or fun days. 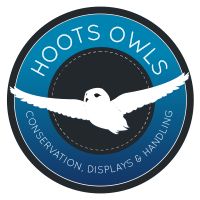 We provide static displays, where people can come and hold and owl and have their photo taken with them for a small fee. You can find us at summer fairs, group & school visist, birthdays and many more events throughout the year!